The term “Cow Protection” brings many meanings to many minds based on faith and culture. Some say “why protection”? Some say “why cows, why not polar bear”? Some get involved in this movement without really knowing “what does it mean and why and how should one do it”? Many believe that humans have souls while animals don’t. So humans are superior and can consume the innocent animals. If GOD wanted us to be superior, he could have made humans survive on stones and woods. Why would He want one of His child (the humans) to butcher His another child (the animals)? How GOD can be a merciful father then? This looks controversial! All of us know that animals have souls and feelings as we humans do. No animal should be slaughtered. Note that “Slaughtering” and “Killing” is different. One may kill an animal to fulfill a higher purpose but slaughtering is to kill an animal for self enjoyment or whims (like modern science experiments) when there is no such need! Slaughtering does not only mean to personally bring an animal to death but providing resources/facilities/motivation etc in the chain of killing an animal is also slaughtering. So, the owner of an abattoir or a meat eater or an animal seller is also an indirect slaughterer. Further, using products made from animal parts like their fat/blood/skin/bone etc are also increasingly causing animal slaughter. AVOID THEM...PLEASE!!! We must understand that without agriculture, existence is not possible on this planet (even for meat eaters). So, what is good for agriculture, is good for us. Research in traditional and agricultural science has proved that cow (bull) dung manure is an excellent organic fertilizer and cow (bull) urine is one of the best natural pesticides. Cow milk and its bi products are extraordinarily nourishing to the mind and body which help in spiritual advancement attaining the higher cause for human life. It’s not only for milk, that cow is regarded as mother, but because of the extra love and care she reciprocates with. Hence the motive of cow protection is multi-fold: economic, spiritual and emotional. Not many people have time and dedication to serve cows physically. They can at least stop using products made from sinless animals. In fact there are better options available if one is little bit compassionate towards them. Cow protection is not only to save cows from butchers but also to take the responsibility to take care of them. 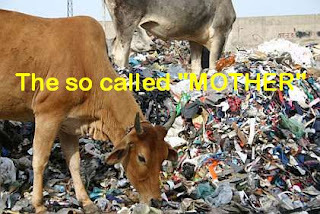 What is the point in saving them from merciless killing but leave them for starving or plastic killing. We see so many cows on roads looking for food and shelter, but how many of us have tried to protect them? We think – No butchers there, no protection required!!! Cow products are very strong/harsh eg soaps leave skin extremely dry. This page aims to be a single point information center on vedic cows. We are not targeting any particular religion or faith although it may seem so. We are trying to bring awareness from all angles on the vedic cow breeds who are being reduced in number day by day due to insufficient fodder and illegal slaughtering. You can indirectly help in this moral cause by spreading this information in your social circle.